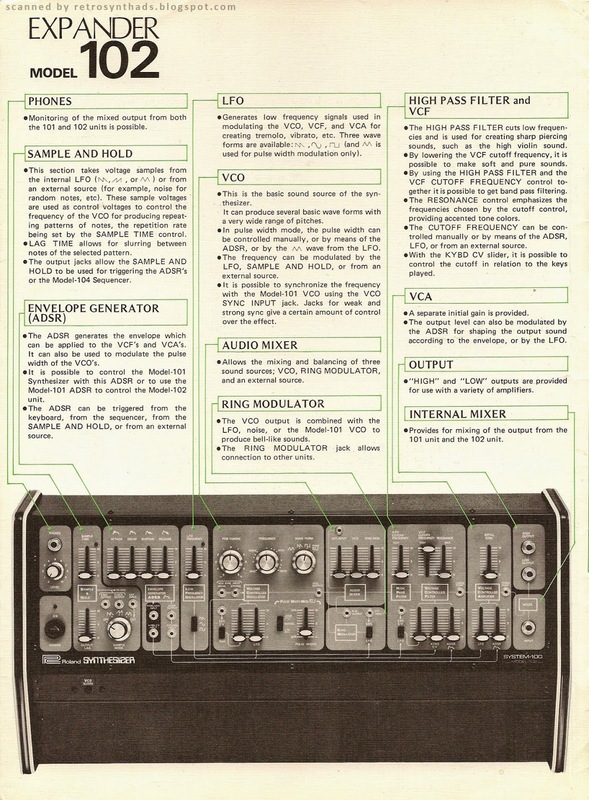 Aries Music Inc. AR-328 Stereo Reverb and Output module "Make some space for your sounds" 1/4-page black and white advertisement from page 46 in the March 1978 issue of Contemporary Keyboard. 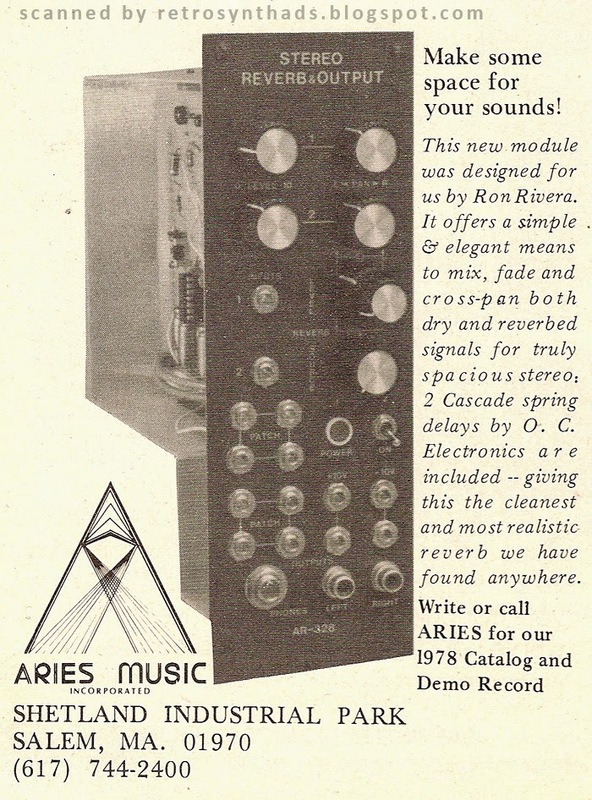 As I've mentioned in the past, Aries ads fell into two main categories - general ads about Aries instruments and ads dedicated to the promotion of individual modules. 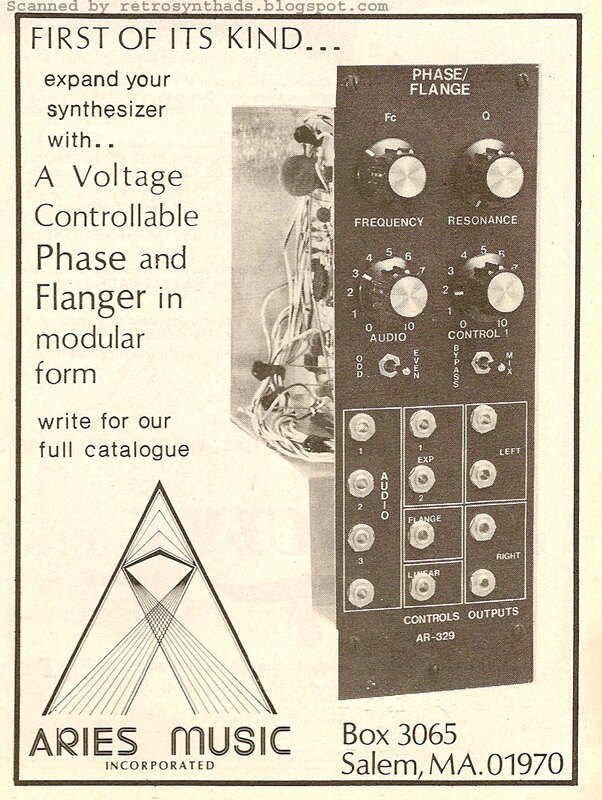 That first module-specific ad didn't really have too much to say, but this second AR-328 reverb module ad is another story - the ad copy, over time, has become historically interesting for a few reasons. The first is that it directly mentions the designer of the module - Ron Rivera. According to several sources on the Web including former Aries employee Mark Styles in a "tell me more about Aries modulars" thread on Muff Wigglers, Ron "started doing modifications, and then went on to design some modules" for Aries. Ken Perrin, commenting on an August 2006 MATRIXSYNTH auction post thread for what can only be described as a mutant ARP/Aries modular monster built by Rivera, said that "Ron Rivera worked at Arp and designed many of the later modules for the Aries Synthesizer. 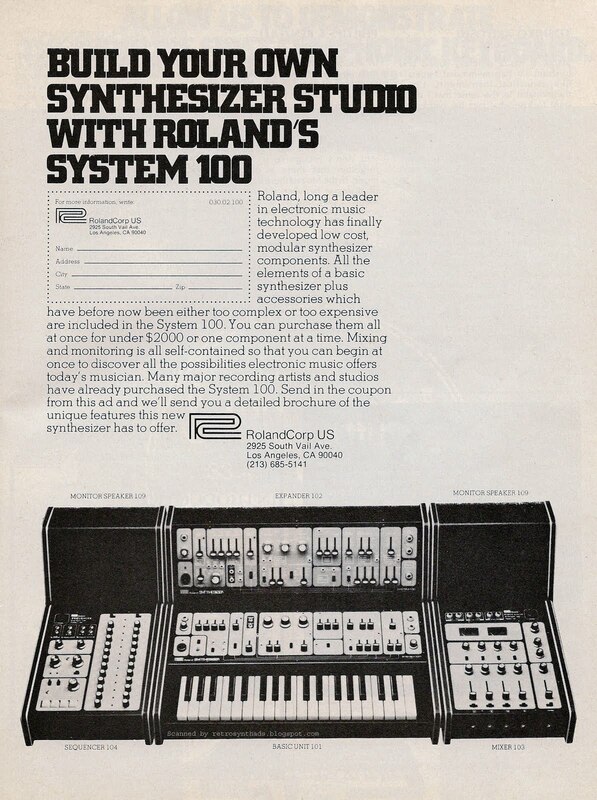 Ron's company was called Rivera Music Services (RMS) and in addition to designing the Aries modules Ron designed a series of modifications and enhancements to the Arp 2600 and the mini-Moog". Indeed, a few RMS ads popped up in Keyboard magazine in the early eighties. Another historical reference in the ad is for a company called O. C. Electronics. "2 Cascade spring delays by O. C. Electronics are included -- giving this the cleanest and most realistic reverb we have found anywhere." A quick Google search brought up some great info on the company. Accu-Bell Sound Inc's Web site includes a highly information "History of Spring Reverberation" page that includes some great information on the formation of O.C. Electronics from the previously Hammond-owned Gibbs Manufacturing in Jansville, Wisconsin in 1971. When Hammond moved their reverb production to another facility [called Accutronics] "employees at Gibbs decided to start their own reverb manufacturing company called O.C. 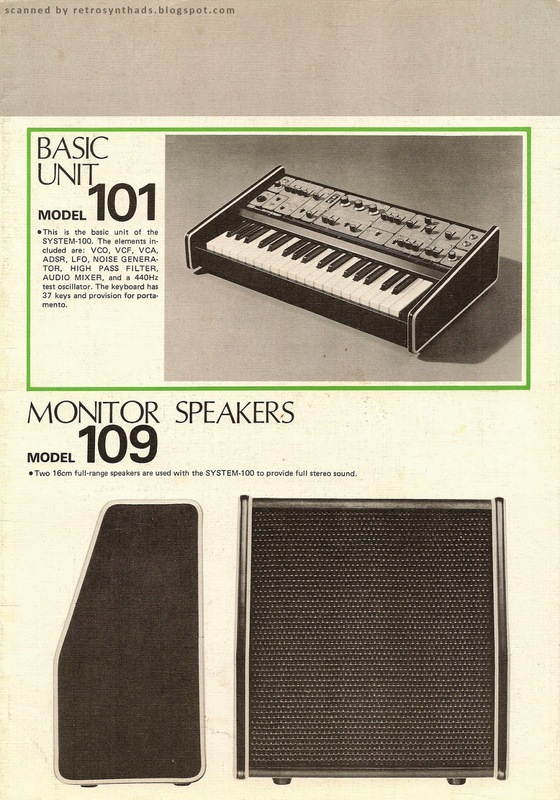 Electronics, giving Accutronics major competition in the reverb market." According to the site, O.C. 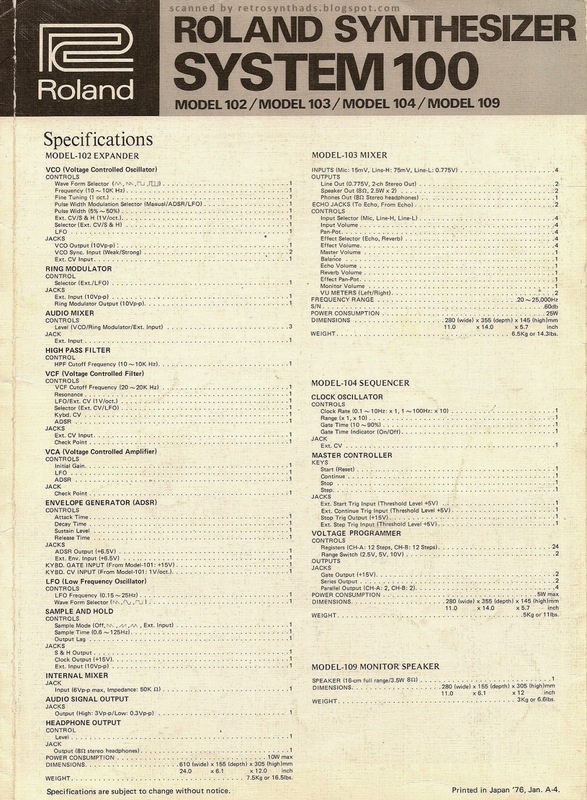 Electronics was known by many service technicians because "of the popular sticker attached to each of their units stating: Made by Beautiful Woman in Janesville, Wisconsin." Apparently there are "beautiful girls" in Milton, Wisconsin too. 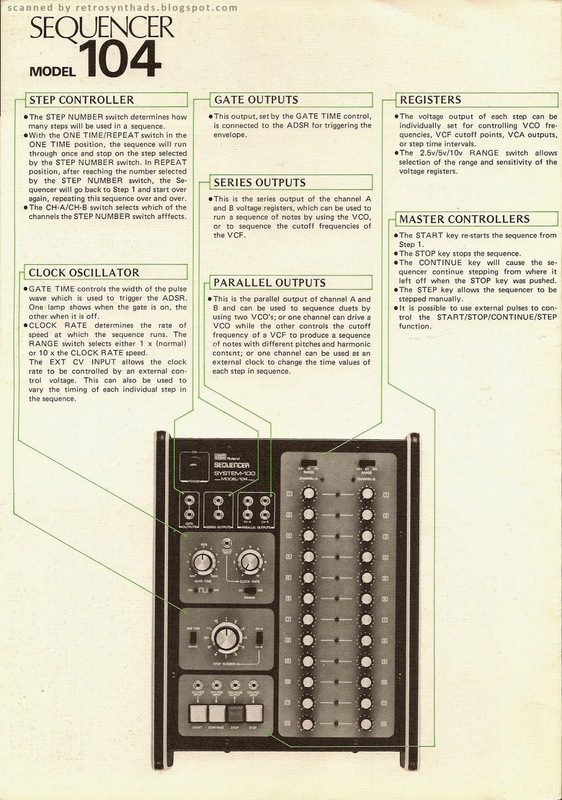 Its hard to make out the actual 238 module in the ad photo. So ModularSynthesis.com comes to the rescue with some great hi-res photos of theAR-328 module itself, including side views with the circuit board. The site's general Aries page is also very informative. Interestingly, the O. C. Electronics label on the reverb unit itself does NOT have the "beautiful girls" sticker. Maybe someone finally figured that one out. End note: Effects modules make fun modulars. 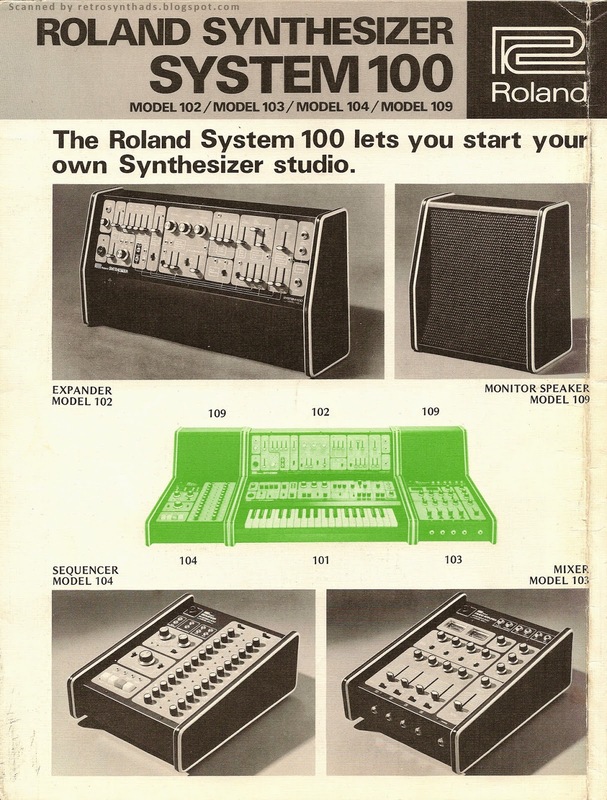 You'd think I would have figured that out sooner considering I've had my Moog Modular with its lovely spring reverb module for a few decades or more. But honestly, in the early days I hardly ever hooked the reverb up. I was young... naive... I usually just pulled the audio into my mixer dry and sent the signal off to an effects rack. What can I say - I was set in my ways. But now with my Eurorack modular (27U and growing strong!) I've started appreciating the large number of effects modules out there and how they can fit into the signal and control flow of a patch. 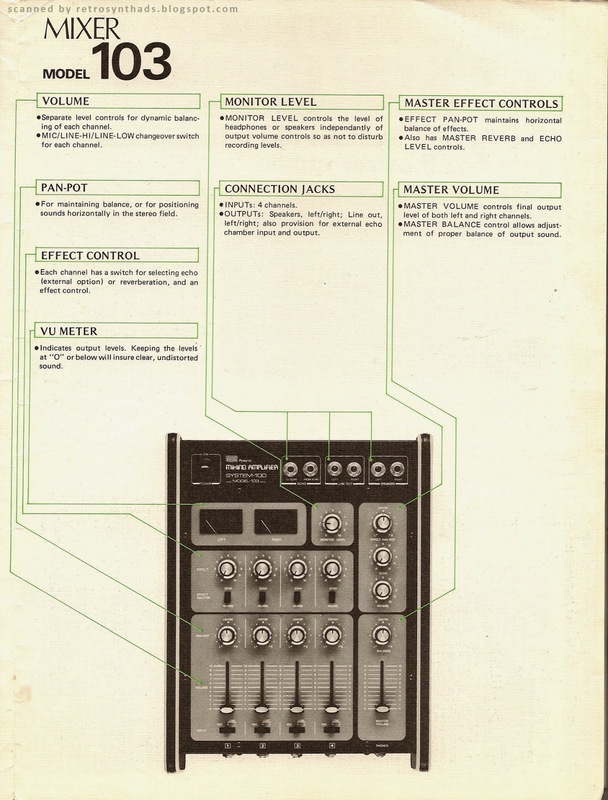 The Moog Modular reverb module has just two jacks - input and output. But today's units are so much more controllable and I find there is something satisfying about controlling effects using control voltages. Time to get back to the modular.